This DVD informs viewers of a widespread shift in South American politics, as nations with an abundance of natural resources still find the majority of their people impoverished. 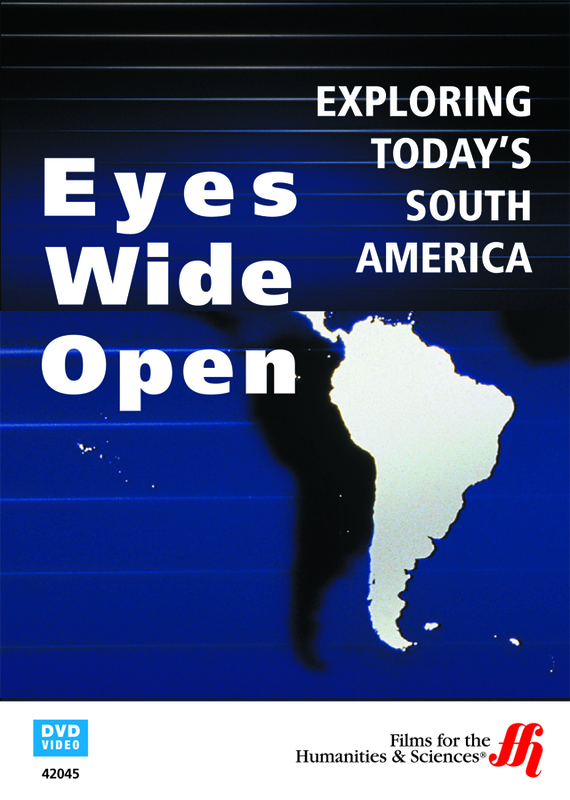 This video is a one-hour, thirty-minute tour of contemporary South American economics and politics. Host Eduardo Galeano, a Uruguayan journalist, is the author of Open Veins of Latin America, a book that explores the historical economic exploitation of the region. In the DVD, Galeano tells the story of nations trying desperately to find a way to catch up to the developing world. Left behind after Spanish and Portuguese colonization, these South American economies have for generations been unable to break out of the one-crop production that defined their countries. These underdeveloped economies developed stark income disparities between rich and poor, which threaten stability. Today, as the documentary demonstrates, one potential solution to these economic problems is a turn to the political left. Many South Americans now opt for electing politicians who promise to redistribute the wealth from corporations and private concerns to the masses. The implication, as Galeano finds, is that the free market, in which supposedly neutral forces decide outcomes, cannot help South America end its widespread poverty. Viewers will hear of life in various countries under governments that have publicly disavowed free market economics to varying degrees. In Venezuela, Hugo Chavez, perhaps the most left leaning, created a socialist state. Meanwhile, Luiz Inácio Lula da Silva attempted to work with private enterprise to create a new order, fairer to all Brazilians. Other examples of leftist approaches include those in Bolivia, Ecuador and Paraguay. Though all have some similarities, each economic model is unique to its country of origin. This is the real value of the documentary. Galeano instructs viewers in the political realities in each of the cultures represented in the film. Anyone who wants to understand why South American nations have so much trouble breaking the cycle of poverty will enjoy this documentary.